If you struggle with getting quality sleep, adding this delicious bedtime honey and chamomile tea to your nighttime routine can help! This tea relies on the natural calming properties of chamomile as well as Calmful Sleep, which contains magnesium, amino acids and melatonin to relax the body. Sweet dreams! Add the water, chamomile tea and ginger root (if using) to a small pot over high heat. Bring to a boil, then cover, lower heat, and let simmer for 5 minutes. Pour through a fine mesh strainer or cheesecloth to strain out the chamomile and ginger. 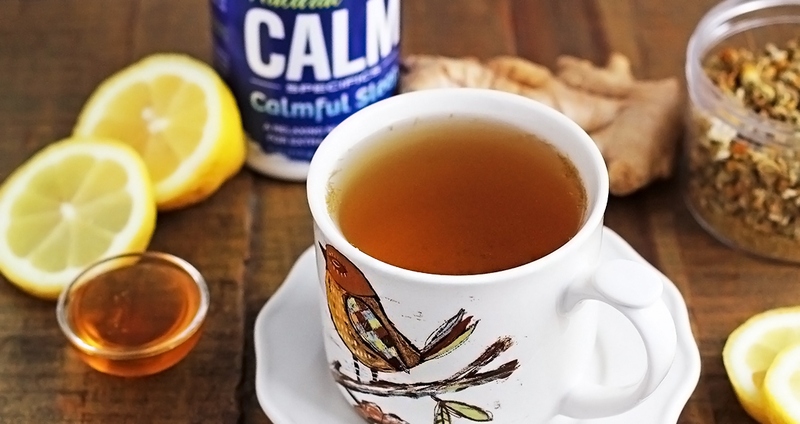 Add to a mug and mix in the honey, Calmful Sleep and lemon slices (if using). Let cool, then enjoy.